When Stylesight and Eyecessorize hosted the Eyewear Product & Trend Review event for spring/summer 2014, they identified four major trends in eyewear. (Source: The Hottest Trends in Eyewear for 2014, Forbes) Bring these trends to your customers with our promotional sunglasses. This 1970s style features rosy- or gold-tinted lenses and shapes and materials reminiscent of yesteryear. Think soft, round shapes and tortoise prints. Risky Business Sunglasses in Tortoise are a good example. 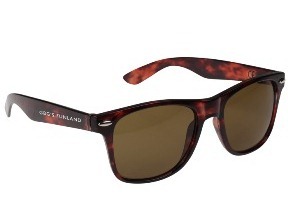 The tortoise print is an eyewear classic. This smart look features geometric shapes, angled cuts and neutral colors. Checkered Hipster Shades are a good example. 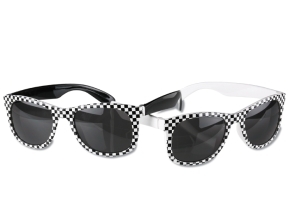 Available in black and white with a checkered frame, these imprinted sunglasses are more than just stylish. Or, try the unique Foldable Sunglasses. 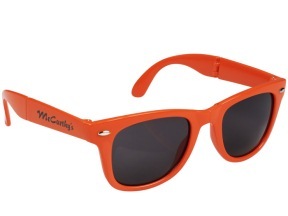 Available in 12 bright shades, these easy-to-carry sunglasses collapse and fold in half for extra portability! Inspired by ocean and sea life, this eyewear look is dominated by its ocean-like palette of blues, greens and teals. The Navigator Sunglasses are one example. 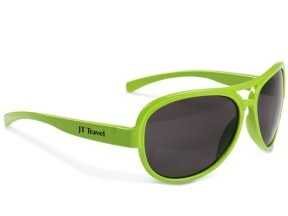 Among the 12 shades they’re available in: Lime Green, Kelly Green, Carolina Blue, Royal Blue and Navy. Frames in this look reflect the earthy greens and pretty pinks that happily co-exist in nature. Likewise, glasses in this look may sport floral prints, embellishments or even a whimsical butterfly-shaped lens! 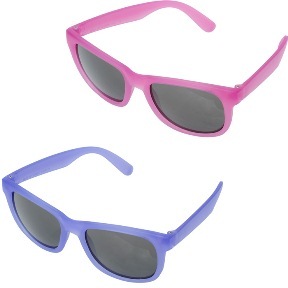 Our color-changing, UV-Turn Sunglasses might be just the right choice, allowing you to sport two different colors in one wearing with its unique, color-changing frame! 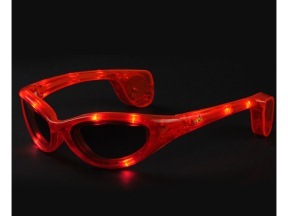 And, while Blinking Sunglasses may not have made the Hottest Trends list, these are sure to be popular for both daytime and evening events. These fun frames are conversation starters that encourage party-goers to relax and have a good time. With your logo on the bow, they definitely make a statement. Check them out in a range of colors, including red, hot pink, green, multicolor and red/white/blue. 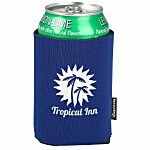 Whether throwback vintage is your style or a colorful look that is infinitely more modern, these promotional products make a stylish and practical giveaway. Sunglasses are one of the most distinguishing, sought-after accessories in the fashion world. These can be a perfect idea for business gifts. 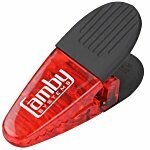 A Pair of Sunglasses for Your Car? Plain sunshades are also available, but I just love how the sunglasses gives any car a friendly face! 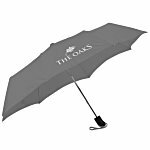 These kind of business gifts are perfect for summer.